← The O’s Add Nelson Cruz + The AL Beast Just Got Stronger! Which Manager’s Seat Is The Hottest In The MLB – 2014? There are many expectations in 2014 for a lot of the MLB clubs. Realistically, only the Houston Astros and the Minnesota Twins could be ousted from playoff contention before we even play in the American League. The National League has several more teams with improbable chances to post a postseason berth in 2014. The Mets, Marlins, Twins, Cubs and Padres are the longest shots on the board to nail down play in October as well. Out of those teams, Chicago just hired Rich Renteria, and the other 5 teams would likely let the year play itself out before thinking of a skipper’s switch. With those teams listed, I highly doubt the current bench bosses will remain in position by the time the clubs become good. Mike Scioscia has seen his once versatile and more fast team be decimated by expensive incoming Free Agents – that have been injury prone. He really doesn’t suit the type of ball club he is running. The former Catcher would be better off running a team similar to what the Rays and A’s possess. Arte Moreno owed Scioscia a pile of money in the next 5 years, a huge factor is probably saving his job currently. Minnesota thinks enough of Ron Gardenhire – that I doubt they would ever fire him in the regular season anyway. The team must see improvement during the 2014 season, but he should make it through the campaign, based on his 6 Division Titles in the 9 years from 2002 – 2010. So then we turn our attention to the contenders. Don Mattingly was nearly ousted as bench boss in 2013, before leading his troops to a 42 – 8 run midway through the year, and 58 – 23 record in their 2nd 81 games. He is under a ton of pressure to have a fast start, I would be surprised if the Dodgers don’t bust out of the gate nicely in 2014. Again it is all about the predictability. The Dodgers should be near the top of the standings all year. Unfortunately for Donnie Baseball, anything less than a League Championship Series Birth again could cost him his job this time around. Bruce Bochy should be safe all year. Matt Williams will be in the 1st year as skipper for the Nationals. With this comes incredible stress to fling out of the gates fast, to avoid what plagued them in the 2013 campaign. The Nationals finished out the last 39 games 26 – 13, and with a solid staff, and many ALL – Star position players, they should be fine. You have to think Williams will outlast several other Managers for that reason, yet alone he was just hired. Ryne Sandberg will be given a full year in my view, despite the franchise spending near the Luxury Tax Threshold, and not showcasing a 1st place ballclub for it. The Baseball Hall Of Famer led the “Phightins” to a 20 – 22 record in his 42 games in 2013 as bench boss. Undoubtedly it would be nice if Philly made for a fast start but in a Division with the Nationals and Braves, it may be a long season. Still think the skipper survives the whole year. Mike Matheny. a NLCS and World Series Appearance buys you at least 2 – 3 years of immunity in this case. Clint Hurdle should make it through the year, although it may be a struggle to duplicate last year for the Bucs. There is also no way that Billy Beane should fire Bob Melvin, based on back to back AL West Divisions. Brad Ausmus has the easiest division to plow through with his ‘Motown’ Boys. Yeah..if they start slow the pressure is on, you just have to calculate the fail rate here. Not likely. Joe Girardi, John Farrell and Terry Francona all have won World Series in the last 6 years, had their teams play well last year in tough elements, and have the respect of their organizations. Lloyd McClendon joins the ranks of the dysfunctional Mariners organization, but I think Jack Z.. would be let go before the former Pirates skipper would be. Joe Maddon has bought himself a few years of grace from the Rays based on his track record. Buck Showalter would probably let go if he doesn’t have his team near the playoff bar by the end of 2014, but the O’s would stick with him – as he is a big reason they are all there. Brian Price with the Reds is a 1st time skipper, and the club is seeing competitive window quickly close. I am going to say he will be monitored out of the chute, but there are bigger candidates for the axe before him. 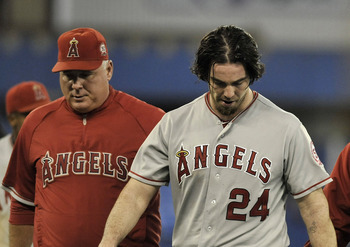 Mike Scioscia should be on the list for managers on the hotseat – however he is owed too much cash for the next 5 years. He falls outside this mark barely. Another Manager who may not make it through 2014 is Robin Ventura. Luckily for him, there are lowered expectations for the Southsiders this year. Walt Weiss and Robin Ventura might not have the expectations for playoffs, so because of that, they don’t enter the top 5, however, they may not make it through the calendar years as their respective club’s skippers. #5 – Ron Roenicke. MIL: A definite candidate for an early season firing is the current Milwaukee manager. This club is only a few years removed from the 2011 NLCS appearance, and Ryan Braun is back in the lineup for the full year. If the Brew Crew has a slow start, it could be good night I-Ron! (supposed to be Irene , I know, haa.. haa. Milwaukee probably won’t compete for the Division Title anyway, but Roenick may take the hit regardless. #4 Ned Yost, KC: It is not a case of whether he has done a great job in KC or not, it is just this team needs to open the year strong. 2014 represents the best opportunity for the team to make the postseason in nearly 30 years. #3 Kirk Gibson, ARI: has his type of team, but he also has a patient GM, both of these guys don’t have long term deals to stick around in the desert. There is no doubt Gibson could be mowed down if the D’Backs are off to a slow start. Milwaukee probably won’t compete for the Division Title anyway, but Roenicke may take the hit regardless. #2 .- Ron Washington, TEX: It has been a steady regression for the Rangers since being one strike from winning the 2011 World Series versus the St. Louis Cardinals. An epic 13 Game Division Lead evaporated after June of 2012, under Washington’s tutelage, and the Texas team barely squeaked out a Wild Card spot in 2013’s race to the Postseason – before losing that game to Tampa. This club has acquired several top notched talented players this winter, and have a winnable division if they are clicking on all cylinders. It would be a shame if the Rangers get out of the starting blocks slow, however Jon Daniels has been rumored to be close to firing Washington under decent circumstances. 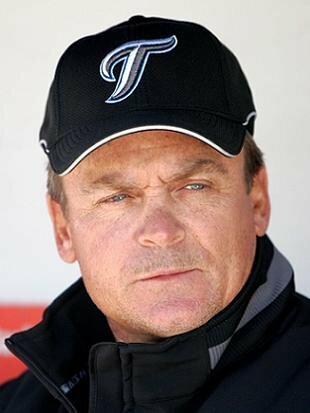 #1 – John Gibbons, TOR: You only have to point to 1989, when Cito Gaston took a 12 – 24 club, to a 77 – 49 ending, when they won the AL East as an example of midseason firing that panned out. Gaston also overtook a 35 – 39 team from John Gibbons, and rallied them to 51 – 37 close out in 2008, finishing 86 – 76. With a tough AL schedule throughout the year, the losses could pile up quickly. John Gibbons has to be on a list of Managers that are on the early season hot seat in 2014. The Jays will have a short window to compete for the AL East title. They should really thought twice about even entering the year with him. If the Jays start slow, he will be gone rather quickly. A big thank-you goes out to Our ‘Chief Writer‘ Hunter Stokes for preparing today’s featured article. Hunter is a Baseball Writer for MLB reports. Hunter grew up in Lynchburg, Virginia and played baseball with Sheldon Bream (Sid Bream‘s son) at Liberty University in the NCAA. His favorite player is Brian Wilson (how could you guess? 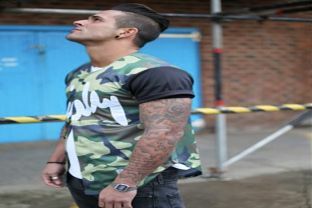 ), and he hates when people can’t think outside the box! His favorite expression – is ‘ this At Bat is about ten seconds away from a Toe – Tag! Please e-mail us at: mlbreports@gmail.com with any questions and feedback. To subscribe to our website and have the daily Reports sent directly to your inbox, click here and follow the link at the top of our homepage. Posted on February 23, 2014, in The Rest: Everything Baseball and tagged 1st managers to be fired 2014 MLB, 2011 NLCS, 2011 World Series, al central, AL East, AL West, American league, arizona diamondbacks, arte moreno, Atlanta Braves, baltimore orioles, billy beane, bo porter, Bob Melvin, Bobby Cox, boston red sox, Brad Ausmus, bruce bochy, Bryan Price, buck showalter, bud black, chicago cubs, chicago white sox, cincinnati reds, Cito gaston, cleveland indians, clint hurdle, colorado rockies, detroit tigers, fredi gonzalez, houston astros, jimy williams, joe girardi, Joe Maddon, john farrell, john gibbons, kansas city royals, kirk gibson, la angels, la dodgers, Lloyd McClendon, matt williams, miami marlins, mike matheny, mike scioscia, milwaukee brewers, minnesota twins, national league, ned yost, new york mets, new york yankees, NL Central, NL east, nl west, oakland athletics, philadelphia phillies, pittsburgh pirates, rich renteria, robin ventura, rod gardenhire, ron roenicke, Ryne Sandberg, san diego padres, san francisco giants, seattle mariners, st louis cardinals, tampa bay rays, terry collins, texas rangers, todd redmond, toronto blue jays, Walt weiss, washington nationals. Bookmark the permalink. 1 Comment.